We are back in Humble Roots today, discussing Chapters 3 and 4. Part of what I love about reading and then discussing is that reading is often a gateway into other topics or small bunny trails. 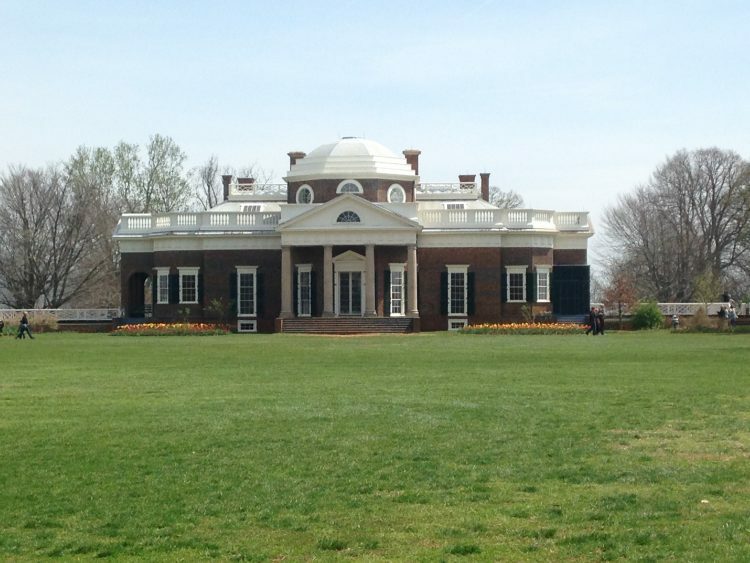 The discussion of Thomas Jefferson and Monticello in Chapter 3 reminded me of my trip there! So, of course, I want to share (and to remind you that you can upload photos in your comments. If something we read reminds you of a story or takes you down a bunny trail, do share!). Several years ago a dear colleague from China was getting married. I had been her supervisor for several years before she went to Australia to work on a PhD, so when she asked me to read a passage of scripture in her wedding, of course I was going! She also invited me several days early to be a part of the festivities. On the Friday before the wedding, I wasn’t needed (in the best sense) and we were near Monticello so I decided to spend the whole day there. 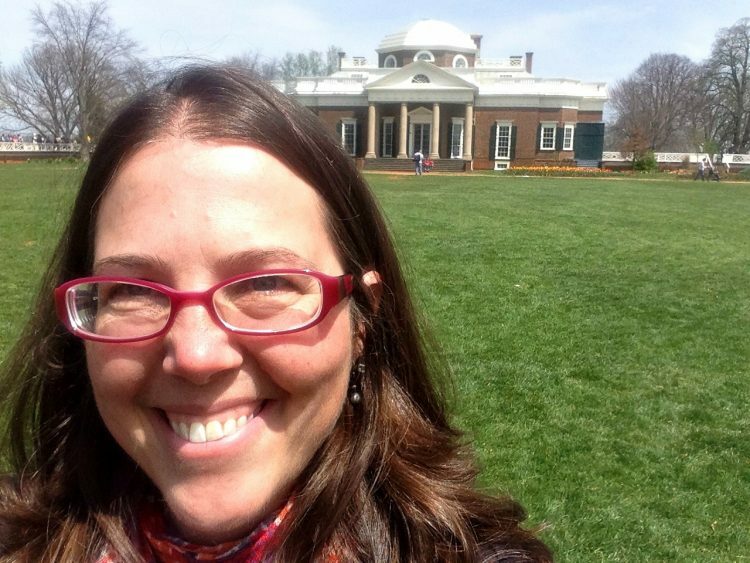 I’m a history and nature geek and needed a quiet place in the middle of the day for my Connection Group Skype call, Monticello seemed perfect. I did not know before I went there, but this is called “The Nickel Shot” because it is the image used on the back of the U.S. five cent coin. Isn’t it pretty?! I can see why Thomas Jefferson wanted to grow European vines. Not sure Thomas Jefferson pictured people taking their own “Nickel Shots” with his house. Ha! I was there in early April and the tulips were spectacular. I did pay attention, but my mind also wandered and I remembered that wonderful day. The sun. The Connection Group conversation. 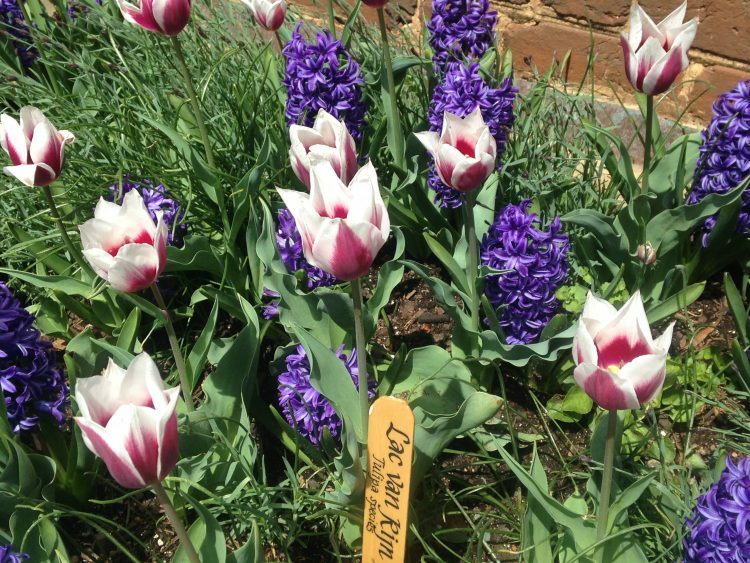 The exploring every nook and cranny and learning about gardening, and Jefferson. James Madison lived near by, so on Saturday morning I got up early to tour his home; I learned about how Jefferson and Madison communicated about their fields and what was growing and what wasn’t. All this to say, I thoroughly enjoyed reading this section and learning more about Jefferson, vineyard growing, and roots. 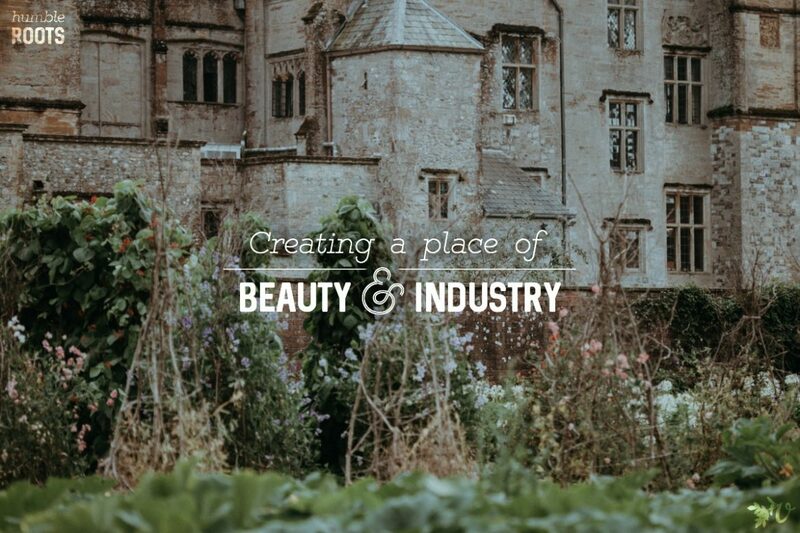 These two chapters had me thinking in a way that seemed more effective to share in a short three minute video. I apologize that I have a cold and my voice is a bit scratchy. If you don’t see the video right below this, you can watch it here. What bunny trails did these chapters take you down? What would have you been thinking about Pride and Humility? Can’t wait to connect in the comments. Next week we will discuss Part 3 (Land of Milk and Honey) in Scouting the Divine. Don’t worry, we will come back to Part 2 in future weeks! April 24—Last week was retreat so to have time to focus on the retreat, no extra reading his week. We will have a Get to Know and get back to reading this week. Also, I will announce the summer reading! 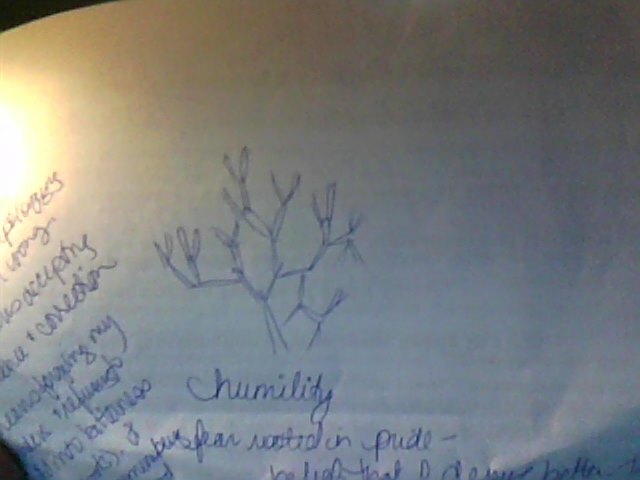 I do feel challenged by these words on humility and am trying to wrap my mind around them and apply them to my life. To be honest, a lot of modern authors don’t say things in entirely new ways, but Hannah does. I have to actually stop and think about her assertions. I was pondering these things in church on Sunday. I think sometimes my fears and resentments stem from a lack of humility — the belief that I deserve better than I got or that I deserve better than my fears predict. It is a new angle to consider pride as the root of those issues. But regardless of my dubious drawing skills, I’m definitely being forced to remember my limitations and remember I’m not God — I peeked ahead a chapter and was fascinated by her treatment of Adam and Eve. I love Genesis so any new insights are always appreciated! And upside down, to look more root-like. 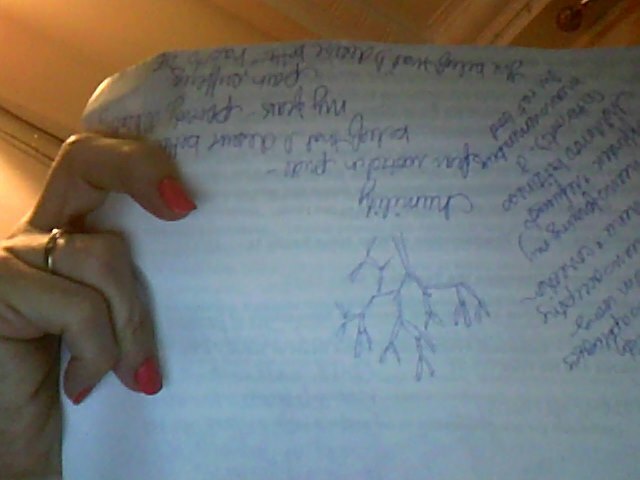 Elizabeth, I love that you doodle a Pythagoras tree out of long skinny triangles. Once to check my dad’s brain function as he was coming out of anesthesia, he was shown a series of simple pictures — we were relieved to hear him identify one as an isosceles triangle and another as a scalene triangle — yay! He was still in there. When I look at your drawings, and how you are processing this, I think God smiles and nudges Jesus and takes great joy in your processing. I have never thought about trees and roots they way you describe / depict them. I love the connection and need more time for it to sink deeper. I sense there is something there for me . . . but I can’t see it yet :)!! 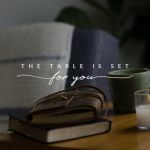 I think my main take-away from these chapters was just that I will never make myself humble- It comes only from abiding in Christ and His humility. One of the books that changed my life the most is Hudson Taylor’s Spiritual Secret. 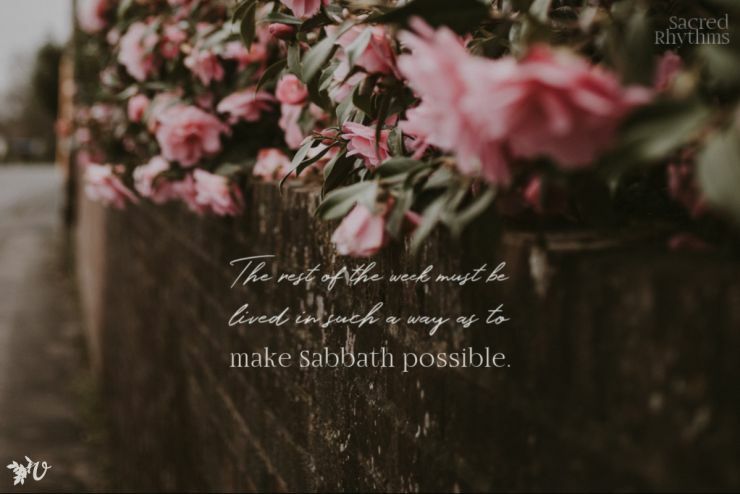 I read in over twenty years ago and remember going over and over Chapter 14, where he gets this revelation of what it means to abide or rest in Christ. It started me on a pursuit which in many ways I’m still on today, so I’m excited to move on in Humble Roots to see what I can learn from Hannah about this; but glad to have a week to let this go a bit deeper while learning about the land of milk and honey in Scouting the Divine. On a totally different note, I really thought the whole heirloom apple thing was interesting, even without any metaphorical stuff. Apples and history are two of my favorite things, but I’d never put them together before! And thanks for sharing the Monticello pictures/experience- FUN! Thanks for the video thoughts, Amy! (These are the actual verses; Mrs Who didn’t quote all of this.) I see that point of tension here. Meg thought she couldn’t do anything, but because of who she is and the relationship she has with her brother, which has a lot to do with who she is, she was the only one who could save him. 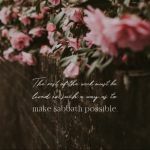 God would use even what she had always seen as her biggest faults – her stubbornness in determination and perseverance, her emotional tendencies in love – to triumph over evil. But she needed to begin seeing herself accurately. What I loved about these chapters is her discussion first on what humility is by definition. 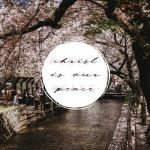 It is a state of being, a position before Christ. I see myself getting caught up in the fear as the wine growers, of looking me. I need to trust his ways, and allow my roots to be pulled up, so I can be grafted into him. I do admit I have a negative view of Mr Jefferson as I heard he edited his Bible by cutting out the parts he didn’t like. I appreciated that the author made a footnote about how slaves were integral in the work at Monticello. I could write paragraphs about both chapters. I just love that I can’t be humble without him. I love how she talks about the verses in Philippians as not a model for my behavior, because I can’t do it on my own; but a point to start my dependency on the Holy Spirit. I was really convicted by this week’s reading to be more collaborative rather than competitive. Because it’s not about me!!! Hadassah I think we can all relate to the example you are shared :). Wanting ministry to not be dependent on us, but then when it goes well . . . experiencing mixed emotions :)! Joy and jealous. I also think it is okay to sell-reflect if there was something we could have done better . . . but there is a valley of difference between healthy self-reflection and self-pity reflection. At least for me :)!! The Chinese character for ‘modest’ or ‘humble’ contains an element of connecting: 谦 qian (part of 谦卑, qianbei – humility). 谦 is made up of two parts – 讠meaning speech and 兼 meaning to combine or connect or unite. (The second part – 卑 – means inferior or lowly but the pictures aren’t so meaningful.). 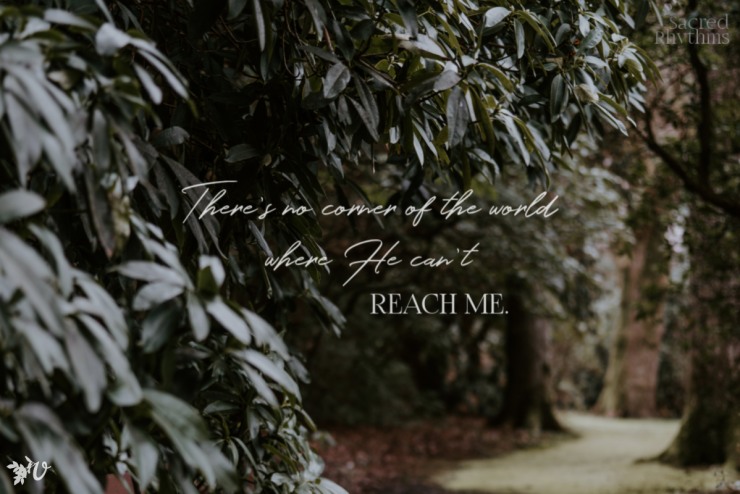 Connecting – not comparing – neat. About your video: would hating ourselves be a negative of humility, or is that a different problem? Phyllis, I think so — or really disliking ourselves OR seeing ourselves as only retched sinners and not also beloved children of God. I have been going back and forth trying to get into this book. I want to like it, but I was having trouble. Until I got to the part in Chapter 3 where she starts talking about John 15. Something there just sparked a hunger to read more- I like when books do that, play hard to get into and then you fall in love with it. Anyway, I think today especially in Western society the idea that you are not “all that” is not the norm. I find it refreshing to be reminded that we need the Lord and apart from Jesus we are not fit for anything. There seems to be such a pressure these days to have your act together and your life figured out that we have lost place of our place, just as the author describes. “Humility is accurately understanding ourselves and our place in the world” My, what a true and honestly important perspective that I feel like I, am I’m sure I am not alone, have lost track of. The very idea that it is not a failure, or disappointment to be nothing without Jesus, but merely the design of life is rejuvenating I think. Im excited to keep reading and reflecting on this topic. It is helping me grow and see things in a new light. Hmmmm – there is a theme going on in my life here. This evening at a conference I heard a great sermon about none of us being indispensable and how we need to prioritise. (It was based on the Acts passage where seven wise and godly men were appointed to the early church to organise the social work type activities.). Then I read these chapters. Re your ‘healthy tension’ rabbit trail – yes indeed. Sometimes we are paralysed by over-humility, but other times we try to do everything because of thinking we are like little gods. I have a language rabbit trail to follow. Hannah talks about Paradise Lost where Milton has Adam and Eve reach up high for the forbidden fruit, thus leaving – or trying to leave – the earth from which they were made. Did you know that the Chinese phrase for ‘pride’ contains a pictorial element of ‘tallness’? 骄傲 jiao ao, meaning pride, contains these components: 马 – a horse, 乔 – tall; then in the next character, 人- a person, 丰 – abundant, 万 – ten thousand and 攵 – to rap or tap. Isn’t that a fun picture if someone trying to make himself look big, high on a horse, with a lot of noise and carry-on?! That is a very cool rabbit trail! I’m a bit of a language geek, so even though I’m thankful I haven’t had to learn to speak a language as complex as Mandarin (I don’t think I could do the tonal stuff!) I LOVE learning tidbits like this one! I first noticed the C.S. Lewis quote: “If anyone would like to acquire humility, I can, I think, tell him the first step. The first step is to realize that one is proud.” How simple this sounds, and yet so hard, because until He opens our eyes, we are blind. We don’t think we are proud, and even if as believers we can accept that “maybe God sees something I don’t see here,” we still don’t see. 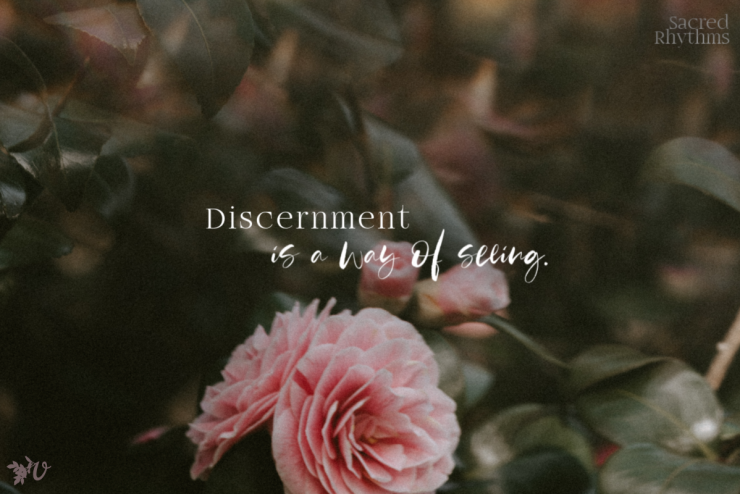 Over the past weeks, I’ve had several times I’ve felt deep anger and been going over times I’ve felt mistreated in the past, even though the actual offenses occurred years ago. In each case, I have “forgiven” the person and been working effectively with each person in the intervening time, even as good friends. So, realistically, this is probably more a combination of my currently being physically and emotionally over-stretched and/or needing to learn something God has to teach me, than it is a matter of the specific offenses or injuries. I am starting to see that maybe it’s about my needing to feel in control … to find a way to guarantee that I won’t end up not receiving the honor I expect. “Instead of seeing [others] as threats to our own glory, we will see them as beautiful reflections of His” (76). It is good to know that God takes the initiative to lead us and to open our eyes.